DO RESIN DRIVES NEED PLANNING PERMISSION? Government, planners and local authorities often look favorably on resin bound surfaces. As a porous material, rainwater is allowed to drain easily away, reducing environmental impact. For this reason, planning permission is generally NOT required for garden surfaces using resin bound paving (whereas planning permission is needed for work over five square metres using traditional materials like impermeable concrete). 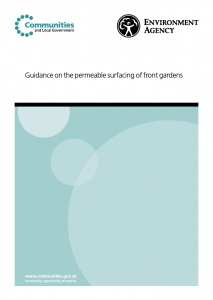 The Environment Agency publishes a useful downloadable document called ‘Guidance on the permeable surfacing of front gardens’ [PDF]. This revised edition replaces the version originally published in September 2008, and advises householders on the options available in order comply with planning rules. If you’d like some help understanding it all, ask for our advice. SuDS stands for Sustainable Drainage Systems: a sequence of management practices and control structures designed to drain surface water in a sustainable fashion. Due to an increased danger of flooding, the Government has brought in legislation for new developments – to protect downstream areas thought to be at risk. Again, there is good news for users of resin bound paving. Its porosity means it’s a really suitable material for SuDS-compliant development. Resin bound paving reduces the risk of flooding when compared to other materials. 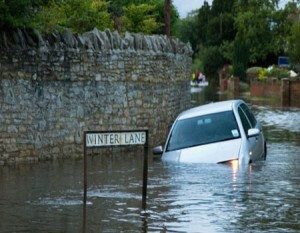 The responsibility for provision, operation and maintenance of SuDS is not clearly set out yet. Each authority draws up its own plans for areas at risk. These are based on judgements rather than strict regulations, so you will need to contact your local authority’s planning office to learn more about SuDS and how to ensure you comply.